We are pleased to say that the Club has received some funding for a project on the “Upper Water” from Gasgoyne bridge downstream to the Cuckoo pound fence, this project is to include some crown raising and tree clearing to reduce some of the shading, installation of several “LWD” flow deflectors and some hinging of trees into the channel as cover and fry refuge, and the renewal of the fence. This great project is subject to lots of match funding in terms of volunteer time from club members, I also hope to have some volunteers from the DWT and Kingston Mauward College. 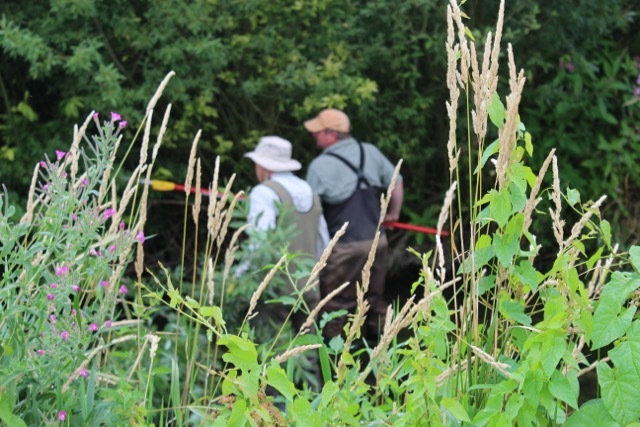 This is a partnership project between the Environment Agency, Wessex Water, Dorset Wildlife Trust, Dorchester Fishing Club and Casterbridge Fisheries. Anyone who fancies getting hands on for a day or two can meet us at Gasgoyne Bridge, Monday the 10th October at 9.00am, please bring waders, gloves and some good weather..